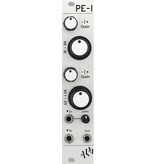 ‘PE-1' is a dual band parametric EQ and simple two channel mixer. Two control sections provide a sweepable cut or boost to a selectable upper and lower frequency band. The module has two ac-coupled audio inputs, one of which has an attenuation control for basic mixing, and a single audio output. 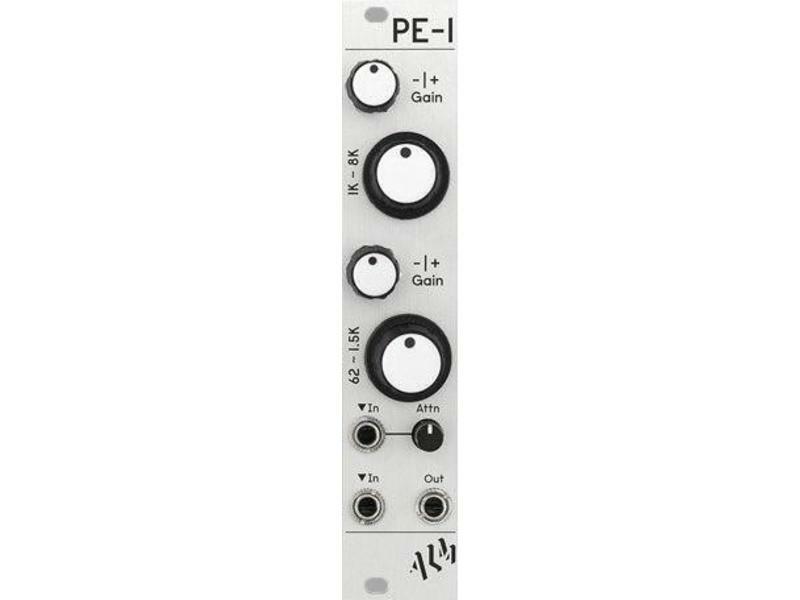 The ‘PE-1' is inspired by the EQ circuits used in early ‘Portastudio' type 4 track tape mixers. Warm up a digital source, fine control a live performance, extend a mixer, tweak a feedback loop - there are many uses for this great sounding EQ.